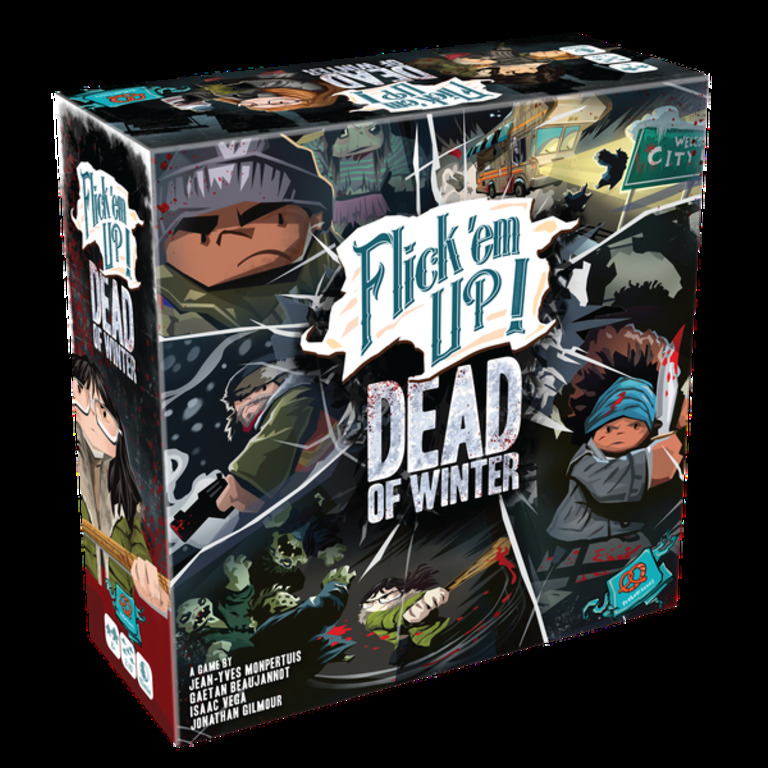 Based on the best-selling game Dead of Winter, form your group of 10 survivors and explore the city with 10 scenarios. Shhhhhh! The slightest sounds will wake the zombies! With the new - and terrifying - Zombie Tower,youd better be ready and raring to go when the zombies attack! Are you ready to flick some zombies? 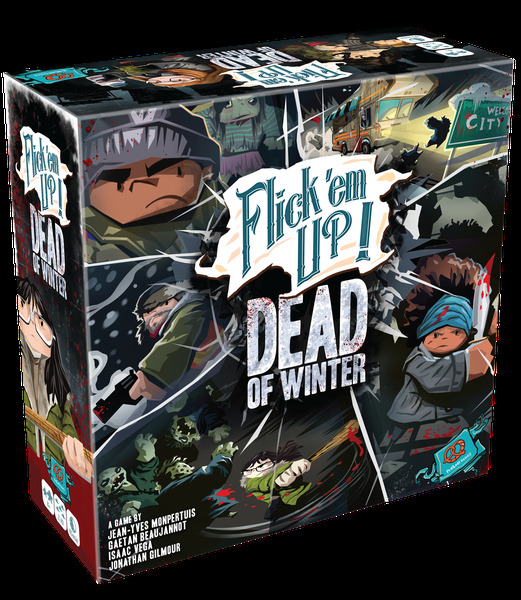 Welcome to the crossover made in heaven: Flickem Up - Dead of Winter. Immerse yourself in 10 different scenarios with mind-blowing scenery and components that will transform your table into the post-apocalypse wasteland of a zombie invasion. With your team of 10 well-known survivors from the Dead of Winter world, search high and low to gather resources and weapons to survive the trials ahead. Danger lurks everywhere, but you must put your fears to rest and confront the dead while you still can. Learning to flick and handle new weapons will be key against zombies. Control the accuracy of your sniper gun, the striking strength of your baseball bat and the effectiveness of your knife throwing before facing a zombie. You should know it by now: Zombies are merciless! As dawn breaks, you plant your spurs in the dirt outside the town bank. With a loaded gun in your holster, there’s only one question that needs answering: who are you fighting for? Whats a cowboy without his horse you ask? Well ask no more, for this first expansion for Flickem Up! introduces dashing horses!